Deputy Interior Ministry Permanent Secretary Phornphot Phenphas. 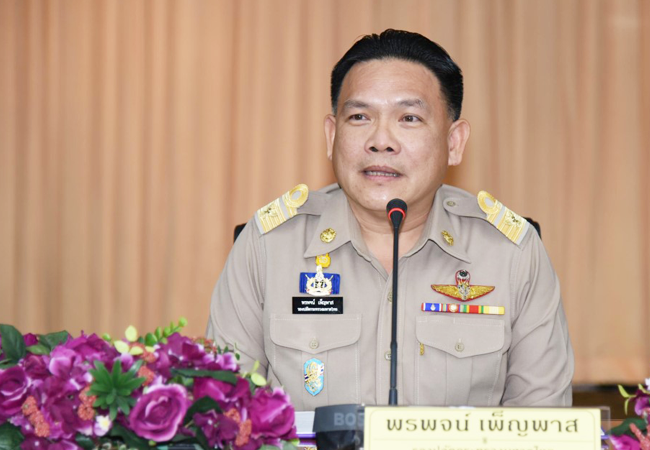 Bangkok – Preparations for sacred water from provinces to be used during the Coronation ceremonies have already progressed by 80-90 percent, said Deputy Interior Ministry Permanent Secretary Phornphot Phenphas. He delivered a lecture on the sacred water sources and their consecration ritual for the royal coronation at the second workshop on the royal coronation, organized by the royal coronation 2019 public relations committee in collaboration with the National Broadcasting and Telecommunication Commission. He said the Ministry of Interior, as the subcommittee on preparing sacred water for the royal coronation, had formed four working groups in the provinces for facilitating preparations for the royal coronation. He instructed all provinces to prepare for the sacred water consecration ritual which will be held from April 6-9, 2019 with an emphasis on water cleanliness.